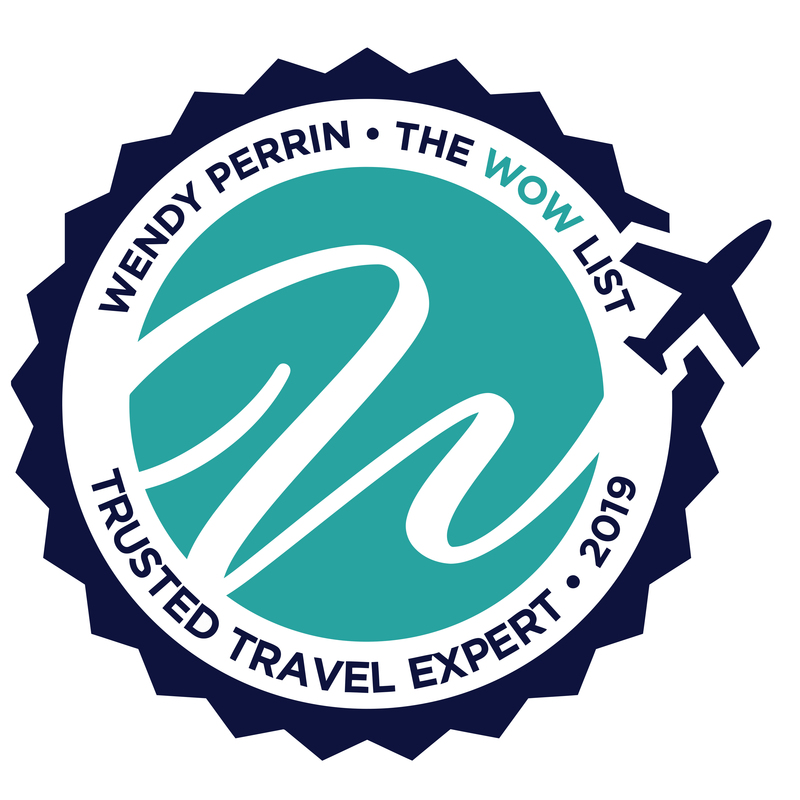 Pierre Gédéon is on Wendy’s WOW List of Trusted Travel Experts for his expertise and connections in Nicaragua. The reviews below are from real travelers who’ve taken trips that were arranged by Pierre and monitored by Wendy. Don’t miss Pierre’s Insider’s Guide to Nicaragua. We stayed at a delightful coffee farm with beautiful grounds and birds galore. We booked our trip to Panama to coincide with the full crossing of the Canal (which only happens twice a month) and had thought the rest of the trip would be easy to organise ourselves. The Panama City bit was easy and that we did book on our own, but then we just weren’t sure where to go. Pierre Gedeon came to the rescue. With limited time (we had booked our flights and we were just 3 weeks away from departure) he got a very good idea of us and the sort of things we would like to do, and be happy to do, and put together a very nice little programme for us. We did a day trip to Anton El Valle from Panama City, which quite honestly we would not recommend. It is a not very comfortable 1.5 hour drive from Panama City. We did a short walk to a quite pretty but unremarkable waterfall, visited a butterfly farm which was quite interesting, saw the local fruit & veg market with nothing much to buy. We felt it was a waste of a day. After 5 days in Panama City we flew to David, where we were met by our guide/driver and driven to the attractive little hill town of Boquete. The first thing we did was to go on a little hike to try and see the famous quetzal, which we did – very exciting. I found the hour long uphill walk at 6,000 ft a bit tough going and our guide decided that the next morning’s excursion to the hanging bridges probably wasn’t a good fit for me, so he instantly changed my itinerary to go to the honey and butterfly farm, which was perfect, and my husband enjoyed the hanging bridges. We stayed at a delightful coffee farm, Finca Lerida, with beautiful grounds and birds galore. Pierre factored in a day at leisure at the Finca, which was very welcome as we’d had a lot of very early morning starts. We were then driven over the mountains to Bocas del Toro on the Caribbean. En route we stopped at an indigenous village for lunch and a tour of their chocolate production. This was such an interesting tour, but again a slog uphill, this time in heat and high humidity. In Bocas, Pierre was able to get us into Turtle Beach House, a truly delightful small B&B about a 20 minute drive from town. Sadly, we had just 2 nights there, which just wasn’t enough. We will know better next time. Flights and transfers (bar one) worked perfectly, and we much enjoyed our winter getaway. He took into consideration my interests and goals to help create unforgettable moments. Pierre did a terrific job designing my last minute (literally 5 days) trip to Nicaragua and Costa Rica. He battled end-of-year holidays, staff shortage and his client’s lack of planning! He took into consideration my interests and goals to help create unforgettable moments. Pierre’s knowledge of the region was obvious from the outset. He made lodging, activities and itinerary decisions like a pro. Given the available preparation time and my lack of familiarity of the area, I could not have arranged this travel experience on my own. Pierre helped us plan our late-December/early-January family trip to Bocas Del Toro, Panama. We had many last minute changes (sick & injured elderly parents that could no longer go on trip & friends taking their spots). Pierre helped us navigate all of the changes & made it work. We had to change some in country flights around & get transfers (some of which were pretty late) to make it to our destination, but we did make it! Bocas Del Toro was lovely & where we stayed was very remote. The only bad things were the bugs & our air conditioning didn’t work (it was pretty hot). We got a ton of bites, even with lots of bug spray. Pierre also set up a tour of Panama City & the Panama Canal. Our guide was very knowledgable & kind. We had a really fun trip. Pierre Gedeon agreed to help us plan a relatively last minute trip to Panama and he was very professional, responsive and gave us great advice in terms of maximizing our time in Panama; he also stayed in touch throughout our vacation to make sure we had a flawless journey. We really appreciated the guides he arranged for the Miraflores Locks and Gatun Lake: we learned so much. Our family thoroughly enjoyed the resort he proposed on Isla Bastimentos (Bocas del Toro). We would be very happy to work with Pierre again. We couldn't have done this ourselves. From the time our family decided we wanted to visit Nicaragua, we asked for the advice of a specialist in this area – as we had no idea where to even start. Michael on Pierre’s team talked to us about our interests, a draft itinerary was made. With a few tweaks, we were satisfied with the ideas. Our original plan was just to go for a week, but we quickly saw it would be worth our time to spend a few more days – so we went for 11 days. We are so glad we spent the extra time there. We all came home very pleased with the trip, what we saw and experienced. The recommendations were spot on – we couldn’t have done this ourselves. We wouldn’t change a thing. We started in the Cloud forest of Selva Negra and just loved our time there. Then our stay in Leon at The Convent was perfect. We hated to leave. But when we arrived at Jicaro Island, we were overwhelmed as none of us really had any idea how wonderful this place was. Again, we could have enjoyed an extra day or two there also. We just can’t say enough good things about this resort. Our last stay, on the Solentiname Islands (Macarron Island), was truly something special. Although the accommodations were pretty basic, we felt we were privileged to get to stay in such a remote place. My only wish the entire trip was that there had been hot water at this hotel – even for an hour or two! 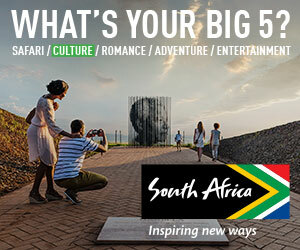 But we managed and would highly recommend it for those who like to be off the usual travel path. The food here was outstanding, as well as the opportunity to see village life, the art done here, and the Los Guatuzos Natural refuge. And even our overnight stay in Managua before we returned home was great. We stayed at the Hotel Los Robles and thought it was wonderful. We could easily have enjoyed an extra day here. This was a perfect trip and this review is really so brief. I could give all our activities and guides a stellar review as well, Nicaragua will always be a special place to us after this trip! Pierre was totally instrumental in helping us plan our 15 day Holiday trip which began in Nicaragua, then a few days in Costa Rica and finally a few days in Panama. We Skyped with him early in the planning stage and he listened carefully and then expertly matched the activities to our interests. He is a true professional and even met us in Nicaragua after several days into our trip to check on how the trip was progressing. In Nicaragua we took the ferry to Ometepe and stayed at a nice eco-lodge there; our guide Eric there was fantastic, spoke English well and showed us “his island”. Back in Granada, our guide Gustavo and his driver Roberto were both excellent and a highlight of the trip was a day we spent on a private island near Granada in Lake Nicaragua. In Costa Rica, we first went to Villa Blanca(a hotel that was the former home of the president) in the Los Angeles cloud forest where we stayed in a lovely private casita; after that, we traveled further north to La Fortuna and stayed at the fantastic thermal spring & spa resort, Tabacón. We had a 2 bedroom suite that we shared with our son and his new wife and that was incredible…huge with a canopy bed for the newlyweds, jacuzzi, etc. The pools and food there were excellent as was our day rafting the Rio Balsa with our private guide Jonathan Morales(he really made the trip special for us) of the Desafio company there. After a few days at Tabacón, we flew to Panama City and our guide introduced us to the Panama Canal…another highlight. We did not do a boat trip thru the canal at Pierre’s recommendation (so as not to inappropriately waste time in a boat) and that was definitely a great idea. For the final few days(including New Years Eve & Day) we were at Boquete in the mountains in the west of Panama; a beautiful town with nice hiking, cooler days, and a wonderful hotel, Panamonte. All in all a GREAT trip with terrific guides and superb planning; we would consider going back to Nicaragua using Pierre to plan a trip further north to the cigar tobacco region(Estelí) as well as Leon and Volcan Momotombo. Prices are very reasonable in Nicaragua, and the people, while poor, are very nice and accommodating, and there is plenty to see and do. Our trip was perfectly planned and every detail ran 100% well. We spent 3 nights at beautiful Jicaro Lodge, an eco-lodge in Lake Nicaragua, it was over the top well done. It was a great base to tour Grenada, the volcano, and a lovely boat ride. Then we went onto the amazing Mukul Resort, this Auberge Resort is beyond beautiful, words can not do it justice, golf, food, beach, pool, views, service. We were completely overwhelmed. Every guide was smart, timely, efficient. All transportation went without a hitch. I give Pierre Gédéon a five-star review! Pierre listened to our requests and matched them perfectly. We had lots of activity as desired and a chance to see a good sampling of the country very efficiently. The guides were excellent and were flexible to our needs. We traveled to Nicaragua in late Nov. 2016- a great time since end of rainy season and few tourists. This is a country of proud, friendly people still early in development of the tourist trade so it is a chance to see it as it is before the changes take place. We had an amazing trip to Nicaragua, thanks to Pierre and his team. Osnar talked to us first to get a feel about the type of activities we wanted to do and the type of places we wanted to stay. He did an outstanding job planning a trip that suited our needs perfectly. We got a great taste of Nicaragua, visiting 3 different and unique places. He answered our numerous questions during the planning process. All the logistics of our trip were flawless. We would highly recommend a trip to Nicaragua and using Pierre and Osnar to plan the trip! I am writing to you to express my gratitude with Pierre Gédéon and his staff. We thoroughly enjoyed our trip to Mukul, Granada (Tribal Hotel) and Jicaro Lodge. Our guides, our drivers and the accommodations were all first-rate. Pierre was most patient with me and was extremely professional.